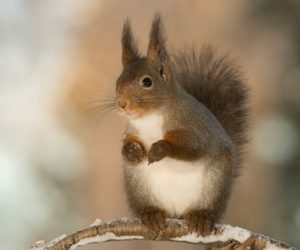 The sounds of a squirrel in your attic or home can be worrisome. Not only is there a wild critter in the house, but it could chew on electrical wires or through structural supports, putting your home at risk. Calling a professional such as Critter Control of Dallas s the best way to get rid of these animals without risk to you or to your family. How Do You Get Rid of Squirrels in the Home? The first step in getting rid of squirrels in the home, aside from calling the professionals at Critter Control®, is to close off all exit routes. These animals get in through small holes and openings in your attic walls or roof. Then, you’ll need to set a trap for them. Once a baited trap catches the animals, you can safely remove them from the home. However, it’s essential to find and seal off all entrance and exits from your home or they will be back. Another treatment option is to set up one-way doors. These allow the animal to get out but not allow them to get back in. For those looking for the most humane option, this can work well. Why Call a Professional for Squirrel Removal? When you call Critter Control of Dallas for squirrel removal, you can be assured that the animals will be out of your home safely and that your space can be secured again. Our team offers licensed and experienced professionals to help you with this process. And, you can be sure that your family remains safe from being exposed to the diseases that squirrels can carry. Call our team today at 817-222-1101 to discuss the specific solutions available to your home, or to schedule your free home consultation.